There is no possible way that you have been to Bombay and doesn’t know about Mohammed Ali Road. No way at all. The place known for its world famous Mughlai cuisine and the delicious street food is on the must-visit list of every tourist, resident, or one who is dreaming to come to Bombay. This amazing place becomes more amazing (you would think if that’s even possible, it is) during Ramzan. The hotels, restaurants, food stalls, shops everything is open till dawn. The place is so alive in the night that one will wonder when do all of them sleep. They do, during the day time. Night they all are busy serving to the plethora of people who comes visiting here. Mostly to eat and eat and eat. One such restaurant which I really like is Noor Mohammadi. Situated right next to Shalimar (very popular but I like Noor more) the place has a queue with a minimum wait of an hour. At times like this, I feel really glad that my brother knows many people in Bombay one of them being the son of the owner of Noor Mohammdi. Nice chap. During one of the nights in Ramzan, my brother took me and my sister to Noor Mohammadi. Of course the place is so crowded and some times it can get pushy, so my brother and his friend who accompanied us acted completely like our bodyguards. Being a girl, I felt grateful for that. Thanks to my brother’s connection we got ushered in the restaurant in 5 minutes. We immediately called for Chicken Hakimi, Nalli Naheri, Sanju Baba, rice, rotis and naans. The service is pretty quick. And the food is heavenly. My personal favourite is Chicken Hakimi though I can only have 2 pieces max! 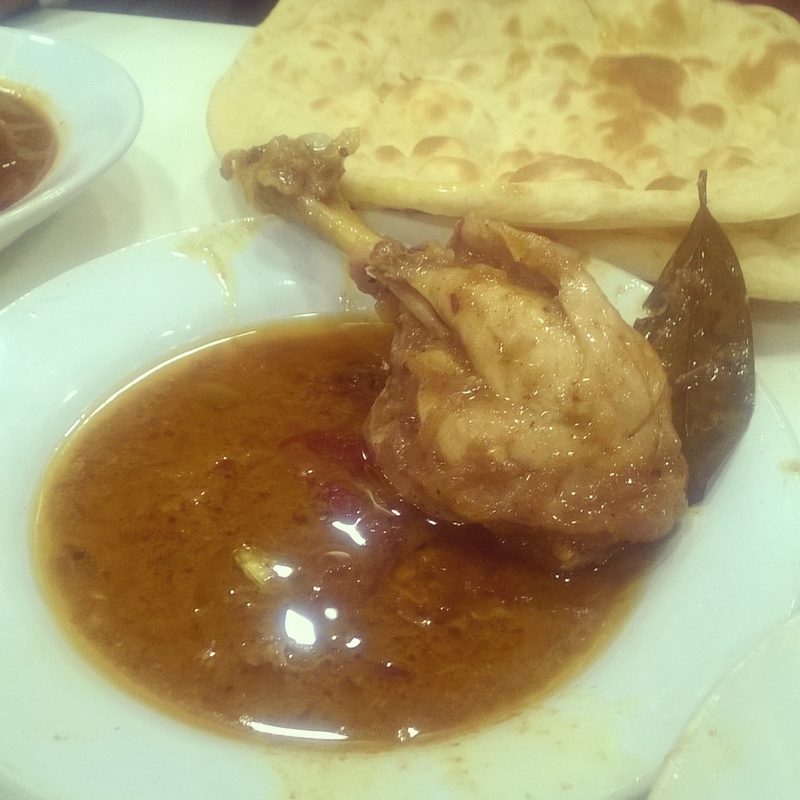 It’s chicken pieces barbecued to sizzling golden brown and is then tossed in melted butter and served hot and yummy! Nalli Naheri is tasty and spicy and goes well with roti and rice both. Sanju Baba, famous for the fact that Sanjay Dutt is the one who has shared the recipe for it, is tasty and is cooked with all the spices blend together for a perfect taste. Going there, no matter what you order for, the food will be yummy and you won’t be disappointed with it. Ambience is very ordinary with food taking the centre stage. It’s a comfortable place where you can sit and relish the mouth-watering food. Considering the feast that we enjoyed the bill was a little more than 1k.